The GUI of OpenStructure is designed to be intuitive, flexible and extensible. 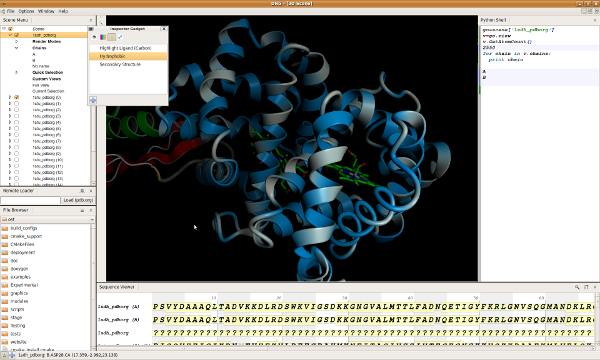 All parts of the GUI are exported to Python and can be expanded with C++ Qt widgets as well as with PyQt widgets. Learn more about Mixing PyQt and C++ Widgets.